Star Fox Zero was sadly delayed into 2016 after Nintendo's Shigeru Miyamoto claimed that his developers and the team at Platinum Games would "need a little more time to work on areas." However, Nintendo of Japan's official Star Fox Zero website has some dazzling new footage that clearly shows that time has been put to good use. If you remember, many walked away with mixed feelings following Star Fox Zero's showing at E3 2015. Some lamented the Gamepad controller and Miyamoto's latest experiment with two-screen gaming, but a good many others felt that the graphics weren't really up to par with what Platinum Games was capable of. However, most agreed that it made a pretty sweet trailer that just needed a bump or two in the right direction to be a better game. Hopefully, these two new clips of footage will help steer public opinion back into Nintendo's favor. I'm not so sure about the Gamepad, mainly because my back still hasn't forgiven me after Fatal Frame, but at least the graphics have come a long way over the last half year. If anything, at least it still makes a great trailer! It looks very Star Foxy and that's what matters the most to me. 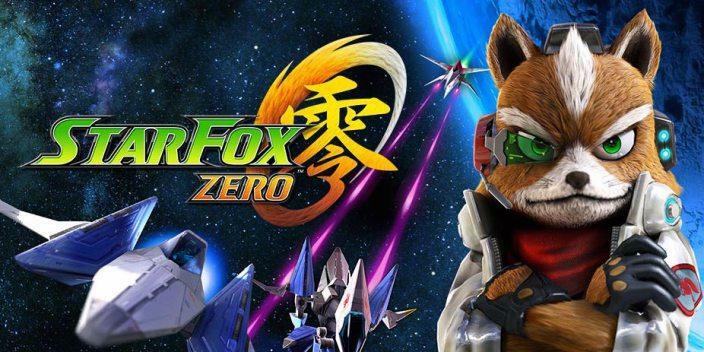 Star Fox Zero will be released exclusively for the Wii U on Apr. 22.